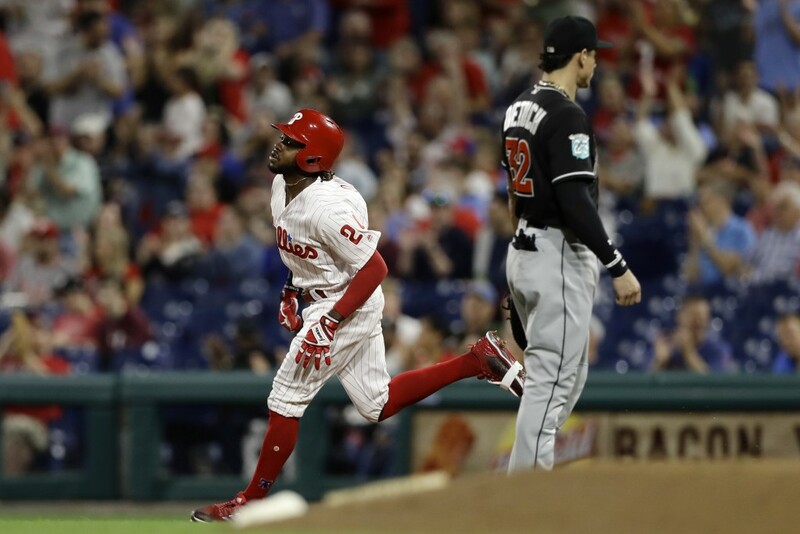 PHILADELPHIA (AP) — Aaron Altherr homered twice and drove in five runs, helping the Philadelphia Phillies beat the Miami Marlins 14-2 on Friday night. 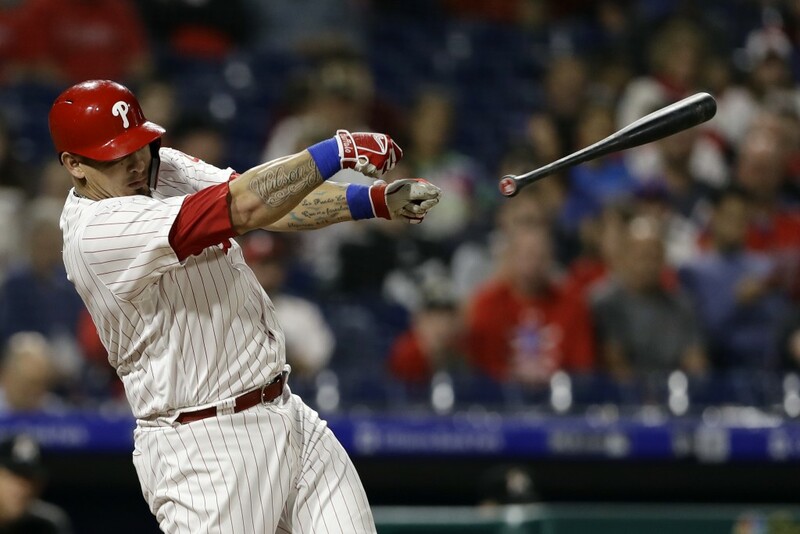 Roman Quinn, Rhys Hoskins and Mitch Walding also connected for the Phillies, who snapped a five-game losing streak. Zach Eflin (10-7) pitched 6 1/3 innings of one-run ball. 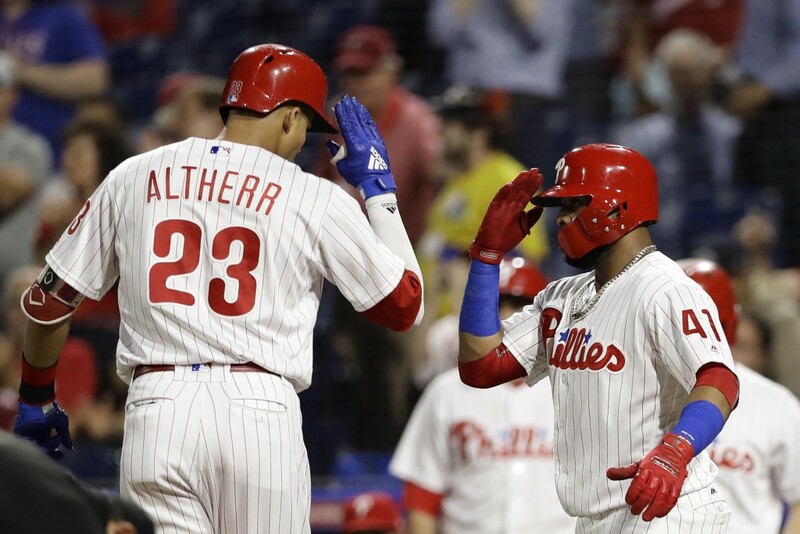 The 27-year-old Altherr was expected to be a regular contributor for Philadelphia after he had 19 homers and 65 RBIs in 107 games last season. But the outfielder struggled with his swing all spring and was sent down to Triple-A Lehigh Valley on July 22 after hitting just .171 with four homers. Altherr connected for a two-run shot in the second for his first homer since he was recalled on Sept. 2. Quinn, returning to the lineup for the first time in nine days, added a two-out drive for a 3-0 lead. The speedy Quinn, who had been sidelined by a small fracture in his right foot, used his legs to help the Phillies tack on two more runs in the fourth. 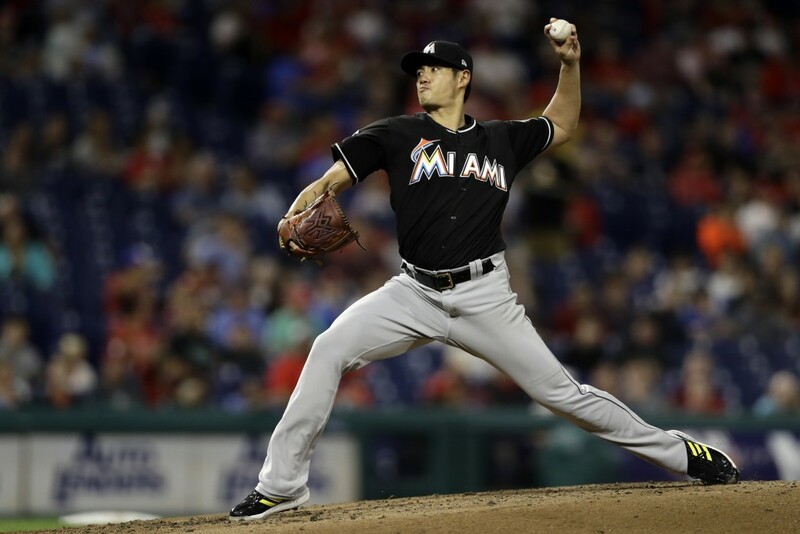 With the bases loaded and one out, Quinn hit a routine grounder to second, but the Marlins couldn't turn the double play. Eflin permitted five hits and walked one in his first win since Aug. 16. The right-hander was 0-3 with an 8.64 ERA in his last four appearances. Miami manager Don Mattingly had catcher Bryan Holaday to pitch the ninth. Holaday gave up a two-run shot to Walding, who recorded his first career hit after going 0 for 14 with 10 strikeouts.